Launched in 2006 by designer Fiona Fewer, a member of the Crafts Council of Ireland, Dink Design has grown in strength from year to year. 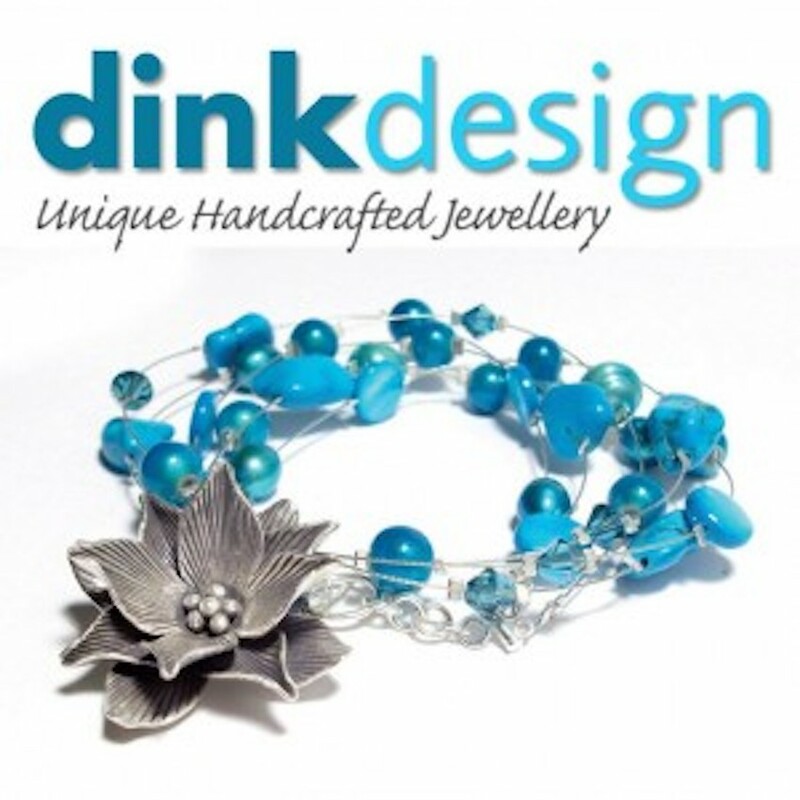 With purchases available to customers online through the Dink Design Website, the Dink Design Facebook page and through the Jewellery Ireland Website and available off line at Craft Fairs nationwide, Dink Design has maintained and continues to grow a steady and loyal customer base. Recommendations and write-ups in The Irish Times, the Sunday Business Post, the Irish Daily Mail, Woman’s Way and Confetti, just to name a handful, indicates that Fiona is definitely doing something right but who is Fiona Fewer? Fiona is the face, brain and the talented finger work behind Dink Design. With a degree in Visual Communications from the National College of Art & Design (NCAD), Dublin and a career working as a Graphic Designer, Fiona decided to follow her heart and began realising her dream job when she started her jewellery designing business Dink Design. No easy feat and one that must be admired, I wanted to know a little bit more about Fiona, her passion for jewellery design and maybe nab a few words of wisdom for those who have thought about setting up their own business and following their dream. With a Degree in Visual Communications and a career in Graphic Design, you are obviously a very artistic person and love jewellery, how or what encouraged you to make the career move to Jewellery Designer? Fiona: I suppose I’ve always had the idea in the back of my mind that I’d like to work for myself eventually, be my own boss. I worked in multimedia and print design for a quite long time, but after I had my first child I decided the time was right to set up on my own. The obvious thing would have been to become a freelance graphic designer but I was a bit jaded with that area of design and really needed a change, so I had the bright idea of turning a life-long hobby into a business and so Dink Design Jewellery began! You are living the dream of many by successfully designing and launching your own jewellery designs but there is also the business side of things, how did you prepare for this side? … can you give one piece of advise to other hopeful entrepreneurs? Fiona: Hmmm, the business side of things… When I started I was absolutely clueless, completely!! And even worse, I didn’t realise how important the ‘business’ side of things were. However I copped on soon enough and started by contacting my local enterprise board DCEB, something I’d advise anyone starting out to do. Take advantage of all that’s on offer – they helped me with funding for my website, I took part in their mentorship programme and also joined their women’s network. Also, it’s essential that you do some sort of ‘Start Your Own Business Course” and most importantly don’t be afraid to ask for help from anyone and everyone you can. Oh, that’s more than one piece of advice! You can be found on Facebook and Twitter, how important do you feel Social Media is to businesses? Fiona: For me it’s become an integral part of my business. Because I have a product to sell Facebook is the perfect platform for me. I post new items regularly as well as special offers, competitions etc. and it means that I’m bringing the jewellery to my almost 3000 likers as opposed to them having to go find it on my website – it’s a no brainer. I can also get valuable feedback from customers, can ask questions of would be customers and generally get a feel for what my target market likes and dislikes. Your designs vary in style from bright and fun corals to sultry and sophisticated pearls, where do you get your inspiration? Fiona: Oh all over the place! My pieces are not necessarily fashion led but I keep an eye on current trends and sometimes incorporate them into what I’m doing. But I chop and change a lot to keep the designs fresh for my customers – it’s the typical designer thing, I could wake up in the middle of the night with something in mind, or could be on the bus, or cycling, needless to say I always have a pen and paper to hand. How important is the price tag of your pieces? Fiona: Well of course I want my jewellery to sell, so it’s very important that I offer it at a price that people will pay. Gone are the days when people expected to pay alot for handcrafted work and were happy to do it. Nowadays consumers can’t be choosy so, like lots of small businesses in Ireland, I’ve reduced my prices. I’m busier now than I’ve ever been so am confident that my work is affordable and the price very competitive. Dink design offers a Made to Order service, have you ever been asked to make something a little too unusual? Fiona: Yes but I can’t tell you in case the person who requested it is reading this!!?! Along with your own designs you also make available jewellery from around the world, what countries can we expect to see designs from? Fiona: Last year I did introduce a collection of pieces that I had sourced in places like Spain and Bali and sold them under the title the ‘Kuta Collection’ – the name came from the beach I had stayed at while in Bali. I haven’t re-stocked the collection yet this year but will definitely be adding more pieces before the rush at Christmas – it allows me to offer a wider choice of designs at great prices. Speaking of the world, you offer FREE world wide shipping, which is an excellent incentive to purchase from you, where is the most tropical place you have shipped to? Fiona: Oh there are quite a few – I’ve sent a number of items to Australia and only wish I could have fit in the package with them, and I have a customer in Saudi Arabia, and Sicily… but the most exotic place for sure has to be Guadalope in the West Indies. Not wanting to keep all that talent to yourself you also teach classes on jewellery making, have you spotted future competition? Fiona: Plenty! I think everyone is capable of being some sort of designer or artist. Remember beauty is in the eye of the beholder and everyone has different tastes, be it colour, pattern or design – my students are all producing wonderful pieces! Where do you see Dink Design in five years? Fiona: I’m really enjoying teaching at the moment so would like to develop that side of the business for sure. 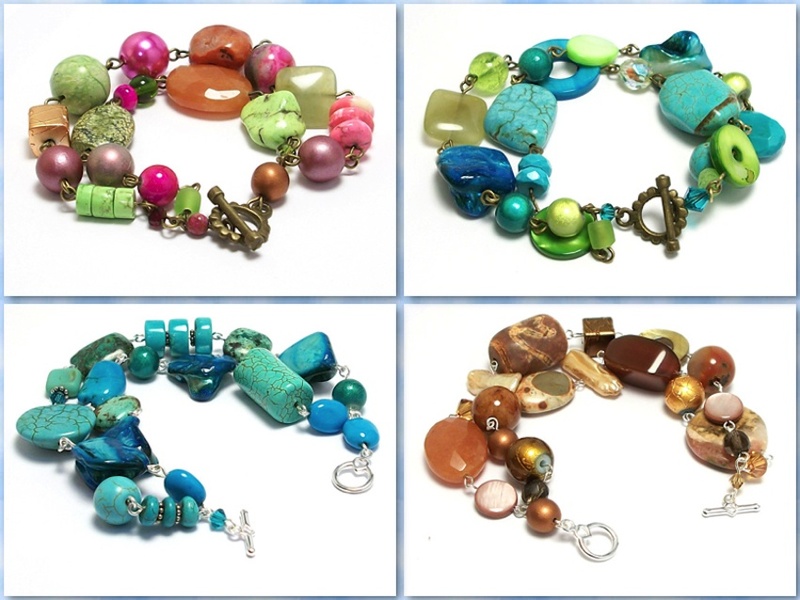 It would be great to bring my jewellery making workshops outside Dublin…. I’ve quite a few loyal customers in the US and would love to increase sales there so it would be good to get the time to market myself over there – who knows, maybe in 5 years time I’ll be a household name in the States! !